Shore Power Lead-16 Amp 10m 240V Au IP56 Plug to Marinco 16A Socket. Ship to Shore Power Au Plug to Marinco 16 Amp Socket. 240V Single Phase Extension Lead .. 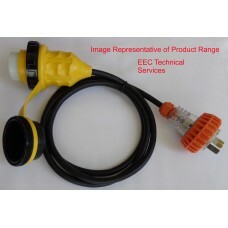 Shore Power Lead-16 Amp 15m 240V Au IP56 Plug to Marinco 16A Socket. Shore Power Lead-16 Amp 20m 240V Au IP56 Plug to Marinco 16A Socket. Shore Power Lead-16 Amp 25m 240V Au IP56 Plug to Marinco 16A Socket.